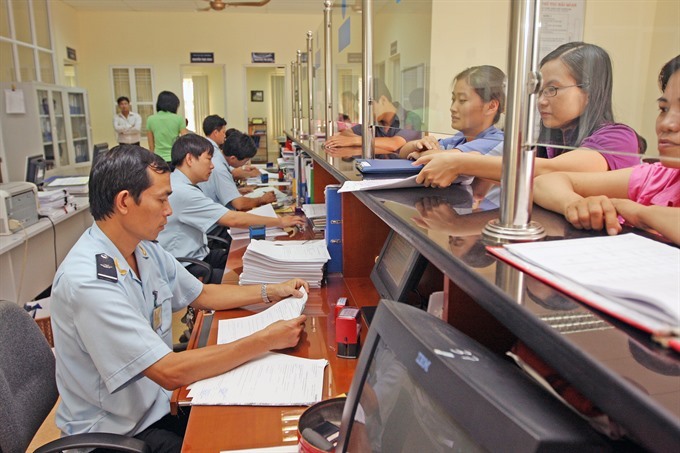 HCM City – Taxation and customs general departments must simplify their administrative procedures and eliminate unnecessary licences to attract more overseas Vietnamese investors, experts said. “Vietnamese taxation and customs policies were reformed in recent years to create favourable conditions for local and foreign enterprises to do business,” Peter Hong, deputy chairman of the Business Association of Overseas Vietnamese, said. “However, Vietnamese taxation and customs policies change regularly, which makes it difficult for Vietnamese to have information. Also, the overseas Vietnamese business community does not receive much information about incentive projects and fields,” he added. Hong said overseas Vietnamese send a huge number of remittances every year to Việt Nam, but only a small amount of the money was used to invest and conduct business. For the first 10 months of the year, a total of US$2.7 billion of remittances were sent to HCM City, of which only $260 million were channelled into investments. “It means that most remittances have been spent for individual purposes and they haven’t created any new value at a time when the city lacks huge capital for socio-economic development,” he said. Châu Bá Long, general director of Minh Nguyên enterprise, said the Government had given priority to supporting industries, but machinery imports for these industries had not received preferential taxes and customs procedures as several other industries had. “More importantly, import licenses for secondhand machinery are out of date,” he said. The law stipulates that enterprises cannot import 10-year-old machines, but in reality many machines have operated over 10 years and retain their quality and efficiency better then many new-tech domestically made machines. David Ngô, a businessman, cited the example of automated and engineering machines from Germany, France and Sweden. Many overseas Vietnamese businesspeople have also complained that their vehicles such as cars and motorbikes could not be brought into Viet Nam because of regulations on equipment, machinery and private vehicle imports that require time of usage rather than certain levels of efficiency and environmental protection. They are also concerned about financial regulations which do not limit the amount of money that overseas Vietnamese can bring into Việt Nam, but limit the amount that can be sent out. “The regulation allows us to bring the same or less amount of money than we brought to the country. But if the time period is more than one year, we must have a licence from the State Bank of Việt Nam. How can we benefit over the long term?” David Ngô asked. Nguyễn Hữu Nghiệp, deputy head of the HCM City’s Customs Department, said that authorities had tried to reform administrative procedures, especially online services, to reduce cumbersome procedures for overseas Vietnamese and investors, and have regularly organised forums to hear complaints.